Current business process modeling methodologies offer little guidance regarding how to discover and maintain business process models aligned with their actual execution. This paper describes how to achieve this goal by uncovering, supervising and improving business process models based on actual work practices, using the Business Alignment Methodology (BAM). BAM aims at enabling business process modeling, supervision and improvement through the distinction of two dimensions; (1) business processes and (2) work practices. BAM encompasses three phases; (1) Business Process Discovery, (2) Business Process Supervision and (3) Business Process Assessment and Improvement. This paper illustrates the business discovery phase of BAM with a case study in a real organizational setting. Business process modeling (BPM) specializes on describing how activities interact and relate with each other, and how activities interact with other business concepts such as goals and resources, where resources may be material and informational entities, as well as human or automated actors. Current BPM methodologies are supported by data collection techniques including interviews, surveys, text/document analysis, among others. BPM emphasizes process notions (workflow, decision, information, activities) as the dominant dimension (Hollingaworth & Services, 2004). However, BPM would benefit from a better understanding of other elements that contribute to process execution such as people and human interactions, products or tools used, specific vocabularies, preferences, habits and rules. Moreover, it has been argued that existing BPM methodologies offer little guidance in keeping up-to-date the continuously evolving knowledge coming from business process execution (Castela et al., 2012). Business processes are executed through human and automated activities. Whereas many business processes are fairly static only at a high level, at finer-grained levels such as activities, are more agile and unpredictable. Indeed, many organizations do not know their end-to-end processes accurately or in detail, since the knowledge required for its execution is tacit and decentralized (Verner, 2004). 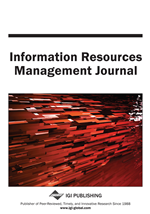 Recent research in BPM is aiming to address the unpredictability of business processes (Reichert et al., 2008; Mutschler et al., 2008), but there is yet little help in addressing the problem of tacit knowledge and business process model maintenance. From our point of view, what appears to be unpredictable behavior does not mean chaos. Indeed, it follows certain rules. The rules followed in the execution of activities and tasks can be uncovered by capturing work practices. Work practice is a concept that originates in socio-technical systems, business anthropology, work systems design, and management science (Sierhuis et al., 2000). Work practices are behaviours of specific individuals, performing specific activities, in specific circumstances, exhibited as action patterns. Work practices involve people engaging in activities over time, not only with each other, but also with machines, tools, documents, and other artifacts. The importance of discovering work practices to improve user support has been acknowledged in (Sierhuis et al., 2000; Brézillon, 2003). Work practice modeling is also important in (1) providing a deeper understanding of the human activities composing business processes, and (2) assessing the alignment between process models and actual execution (Zacarias et al., 2008). This paper describes how to discover business processes from work practices with the Business Alignment Methodology (BAM). BAM represents a multidisciplinary approach that allow business analysts to discover, supervise, analyze and improve business processes, paying attention not only to the process dimension but also to product, information and human dimensions that become visible in actual work practices. BAM was developed following a design research approach (Hevner, 2004). Design research enables building and evaluating artifacts such as models and methodologies. Design-science research involves two processes; (1) build and (2) evaluate. Both processes are used to create and/or improve four kinds of artifacts; (a) constructs, (b) models, (c) methods, and (d) instantiations. Purposeful artifacts are built to address unsolved problems. They are evaluated with respect to the utility provided in solving those problems. Constructs provide the language in which problems and solutions are defined and communicated. Models use constructs to represent a real world situation. Models enable exploring the effects of design decisions and changes in the real world. Methods provide guidance on how to solve problems. Instantiations show that constructs, models or methods can be implemented in a working system.